I'll start by saying that I had never planned on actually reading this book. I had tried to read City of Bones by Cassandra Clare two times and I couldn't get through it so I figured that this book would be as hard to read as it. Boy was I WRONG! Tessa was selfless. All she wanted to do was help her brother, and I admired that. Her strength, and not to mention the mystery of her origin, made me love this book. Oh! I guess I should talk about the guys CA as well. Jem is sweet. His story is heartbreaking and his demeanor cute. But Will is giggle-behind-his-back swoon-worthy. His secret is maddening!!! You want to know what happened to him soooooo badly! Now that I've read Clockwork Angel I'm going to try and read City of Bones again. I think I'll like it more after reading CA, and yes this review is short but I figured that a lot of people have already read it. 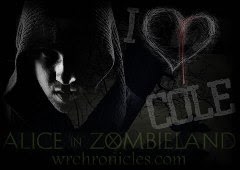 I didn't like the City of Bones series that much either! I'm glad I'm not the only one! (But I have to admit, they really get better by the end of the third one.) 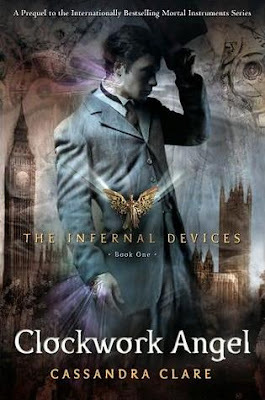 But I am excited to read Clockwork Angel and hopefully learn more about the story behind the Mortal Instruments. I really like TMI series, but I didn't care for Clockwork Angel...funny how everyone thinks differently! I loved The Mortal Instrument series and I'm almost finished reading Clockwork Angel. I'm not feeling it as much as her other series but it's still good. I'm glad you enjoyed it. This is one of my favorite books EVER. I was so nervous because I did NOT like what I read of The Moral Instruments series (just like you), but as soon as I got into it I was HOOKED. 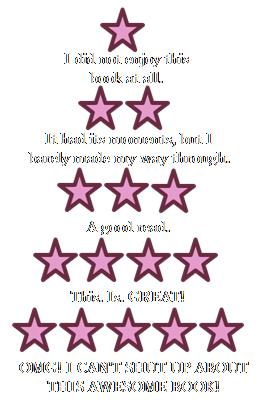 Have you read the rest of the series yet? I know this was an older review so I am curious. Great review and I'm glad you loved it!! !